Taco Hydronics - Service Reps, Inc. Variable speed ECM technology has come of age and with it, savings of up to 85% in electrical costs as compared to conventional circulators. 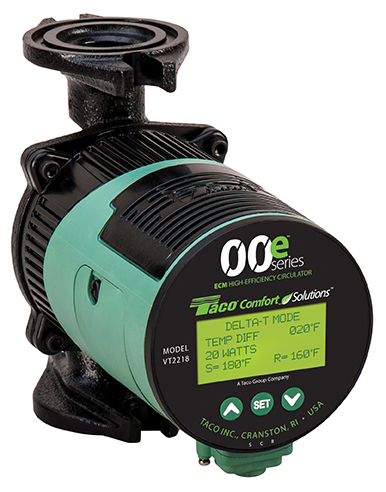 The 00e VR1816 ECM high-efficiency wet rotor circulator features infinitely variable speed and 6 pressure presets to fit your job. It’s simple to install and intuitive to set up. Get into high-efficiency ECM savings with the turn of a dial – it’s efficiency uncomplicated! The VT2218 is whisper quiet and has a big, bright LCD screen that’s easy on the eyes. 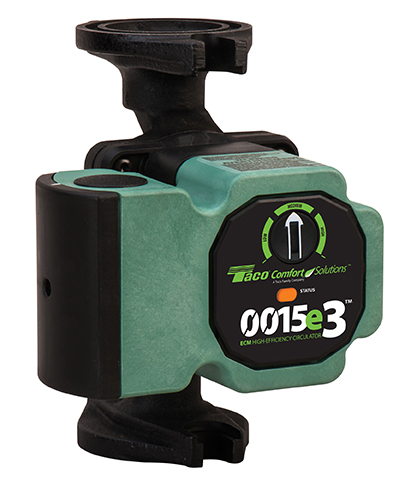 Simple push-button navigation lets you set the pump to any one of five modes quickly and easily. But what you can’t see is just as important: our innovative Bio Barrier® protects the rotor and bearings from system contaminants. Delta-T is the comfort standard for American homes. With our infinitely variable speed ECM motor, the VT2218 uses up to 85% less electricity and maximizes total system and boiler performance. The bottom line? More comfort for a lot less money! 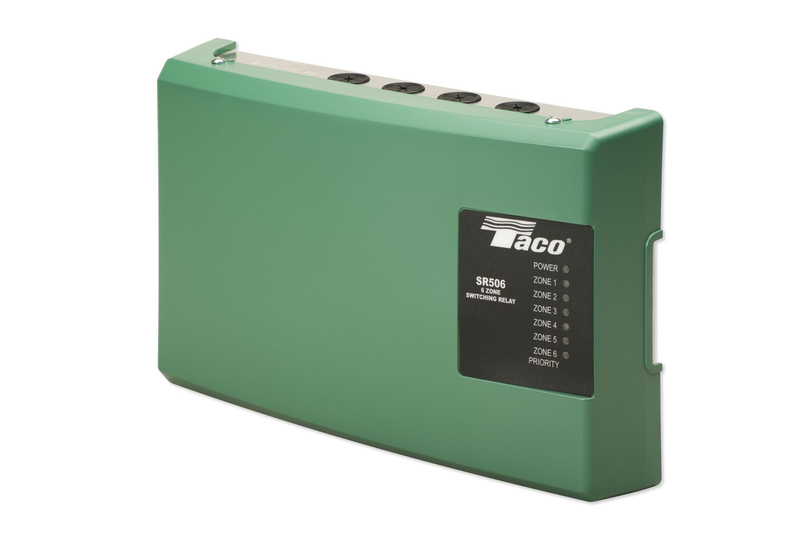 The Taco Switching Relay is the best choice for all your zoning needs, with advanced timer and boiler functions, external diagnostic lights, switchable priority and contractor friendly PC board layouts. Combined with the time proven reliability of the 00® family of circulators and thermostats, total system integration is achieved. 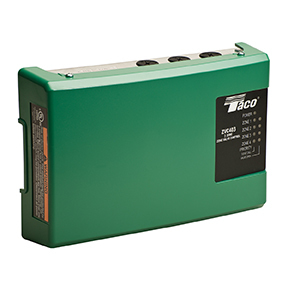 Additional features include built-in priority protection, premium sealed relays, compact design, fuse protected, isolated end switch and universal thermostat compatibility. We’ve enhanced our complete line of zone controls with the features and styling you’ve been asking for. 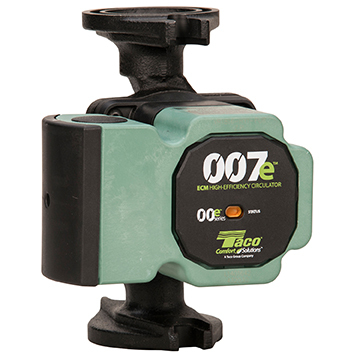 Whether you’re looking for switching relays, zone valve controls, priority zoning circulators, or fan controls, Taco has everything you need. 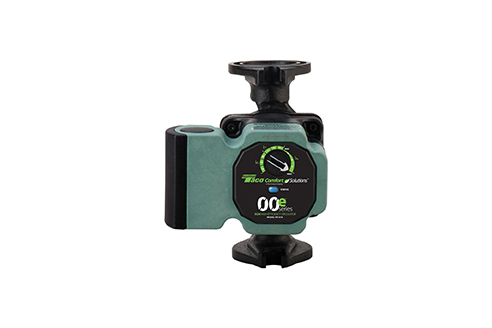 Together with Taco zone valves, thermostats, the “00” family of circulators, and a host of add-on controls, we offer the highest quality and broadest selection of zoning products.